England’s mental health services are in crisis. Demand is ever increasing and the NHS Improving Access to Psychological Therapies programme has the capacity to reach only 15% of known need. Studies have shown that digital therapy maintains, and can even improve outcomes for appropriate patients. The range of online therapy options available continues to grow and this type of treatment can be used to supplement or in some cases replace face to face therapy, often at a lower cost. We recognised the potential that digital health tools had for our mental health services but also realised that there would be some barriers to IAPT’s uptake of online therapies – many of them administrative. Mayden is the provider of iaptus, the leading digital care record for IAPT services. We sought funding from NHS England’s NHS Small Business Research Initiative, to try to remove some of the hurdles facing services looking at adopting online technologies. We secured funding, and created Prism. Prism removes the administrative barriers to online therapy. IAPT services are able to refer patients to online therapy directly from within the patient’s clinical record. Progress notes and outcome data are then sent securely back to the digital client record for monitoring and reporting by the therapist. This means that there is always a single integrated record of care in iaptus for monitoring and reporting. It also reduces the risk of error from copying and pasting information across multiple systems and improves data quality. So far, 37 of our client services have connected with Prism to provide patients with access to online therapy. For the last two years, we have been working closely with leading providers of eMental health tools such as Big White Wall, CCBT ltd, Ieso, Minddistrict, SilverCloud Health and Wellmind Media to make their services available via Prism. Prism also presents a new way to validate the efficacy of online therapies. It enables evaluation to take place in real time, with a level of detail that was not previously possible. Further, because of iaptus’ coverage, this could take place at large-scale population level. There is an opportunity for the results of this analysis to then be fed back to online therapy providers, to inform the ongoing development and improvement of their apps and platforms for the direct benefit of patients. The data can also provide real time feedback to therapists and service managers, not only about the general efficacy of digital care, but also at a more granular level, offering information about efficacy in particular patient populations. We are very grateful to the SBRI team for funding this project. We have already seen the benefit that Prism has had for services, and are looking forward to developing this further in future. 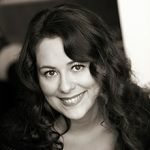 Becky joined Mayden in 2011 and is responsible for managing Mayden’s Marketing and PR activities.